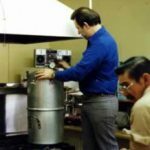 EDITOR’S NOTE: Since Gary Young’s passing, we have been taking stock of the tremendous contributions he made to the world by revisiting his presentations, such as this fascinating multipart blogpost series called The Twelve Oils of Ancient Scripture. In it, Gary examined the historical significance and traditional uses of frankincense, sandalwood, myrrh, onycha, spikenard, rose of Sharon, myrtle, hyssop, galbanum, cypress, cedarwood, and cassia. To finish the two-parter on Frankincense, Gary recounted some of this precious substance’s legendary history. 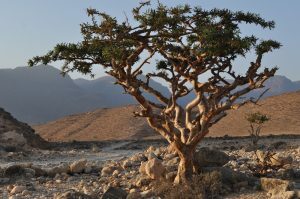 Frankincense was anciently associated with longevity. For instance, there are tales of Alexander the Great’s adventures in India at the oracle Tree of the Sun and the Moon, where two parts of the tree spoke at different times. Legends say that the Indian guardians of the oracle lived in a bower of sacred trees, which wafted the aroma of frankincense and balsam. The guardians supposedly lived on pure water, balsam, and frankincense, a diet on which they had thrived for 300 years. Legend also tells about Adam having been given gold, frankincense, and myrrh by God as a consolation for having lost paradise. According to the legend, he hid these gifts safely high in the mountains, where they were treasured by Noah after the waters of the flood had receded. These sacred gifts were said to have been passed down from generation to generation and kept carefully until the time came that they were to be brought to the newborn Jesus. 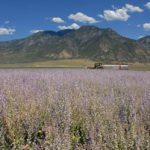 Of all the ancient scripture oils, frankincense has the greatest story and the longest history—widely regarded as the most powerful aromatic substance in ancient times. The writings of Ptolemy comment that the small fragments that crumble off the worked frankincense lumps as well as the frankincense dust and powder were called manna. 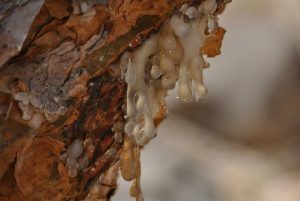 Many other medicinal uses of frankincense throughout the ages appear in ancient records. 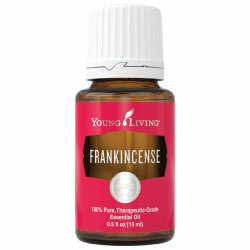 The early physicians described the properties of frankincense as being hot, dry, astringent, and extractant. Anciently, childbirth was believed to be protected by fumigation of frankincense, and fresh frankincense was traditionally used in poultices and plasters to treat a wide variety of skin ailments. Stayed tuned for more information about the Twelve Oils of Ancient Scripture! Next, I’ll focus on the history and therapeutic benefits of sandalwood. Originally published December 15, 2009.